Sometimes deciding which e-commerce platform will best display your business can prove to be challenging. 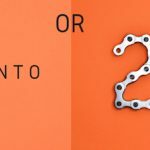 Although Numinix has a qualified web design team that specializes in many varying platforms, some of which you’ve probably already explored, we would like to show you how Magento and Shopify compare based on their design. Choosing the right online store platform is incredibly important, as it sets the stage for the success of your business. Now let’s put these two platforms head-to-head and see which contender offers exactly what you’re looking for. Magento is a free, very modifiable software that allows the business owner tons of affordable extensions and options to customize their online store. It is a flexible e-commerce platform that is a great choice for smaller businesses to grow and evolve. A premium choice for owners that want to develop brand awareness, Magento is user-friendly, packed with built-in features and offers a limitless window of possibilities. Shopify is a cheap, easy-to-use software that allows the business owner to sit back and relax. Although, this platform is not modifiable, it is already created to suit the needs of small businesses. Shopify is hosted by the company, which means that the online store speed and storage is handled for them with no extra fees. Simply, one less thing to worry about managing. There is no fussing around, as your store already features the best add-ons for your customers to navigate and enjoy. Both Magento and Shopify offer varying pros and cons when it comes to website development. Deciding which e-commerce platform meets your business needs is easier after you speak with a professional about your business goals. Contact Numinix for more information. Have you used either of these e-commerce platforms for your business? Tell us all about it in the comments section below. Shopify might be cost-effective and easy to use, but Magento offers better user experience than Shopify.